Yulefest Kilkenny is a curated Christmas festival that takes place in Kilkenny city throughout December where all ages can enjoy a range of free and affordable events. 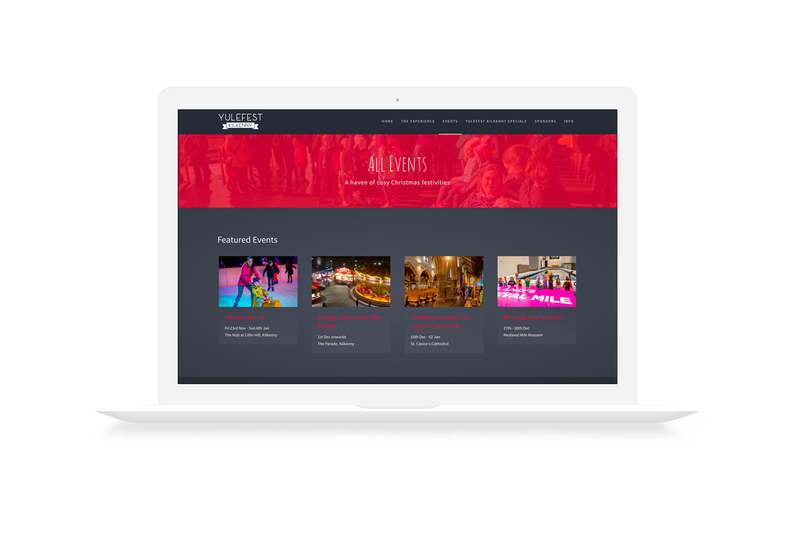 We have worked with Yulefest Kilkenny for the last two years, developing their digital strategy across all platforms. For 2018 the goal was to grow the festival’s audience and reach across a variety of demographics. In 2017 we oriented the festival in a new, strategic, web-first direction. 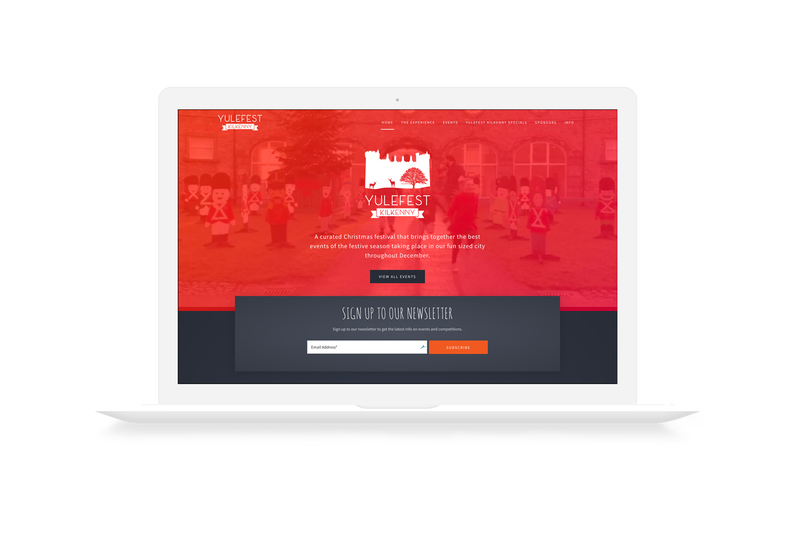 We designed and built a clean, responsive website and massively increased traffic and cross-platform engagement. For 2018 we built on this foundation and grew the festival even further. A review of the festival’s audience led to the establishment of target demographics that were used in messaging to communicate the brand and the core ideas of the festival, across digital and print. Traffic to the Yulefest Kilkenny website doubled in the space of a year and our audience across social media grew exponentially. Likes on Facebook rose by over 30% and we increased our mailing list tenfold through various competitions and incentives.